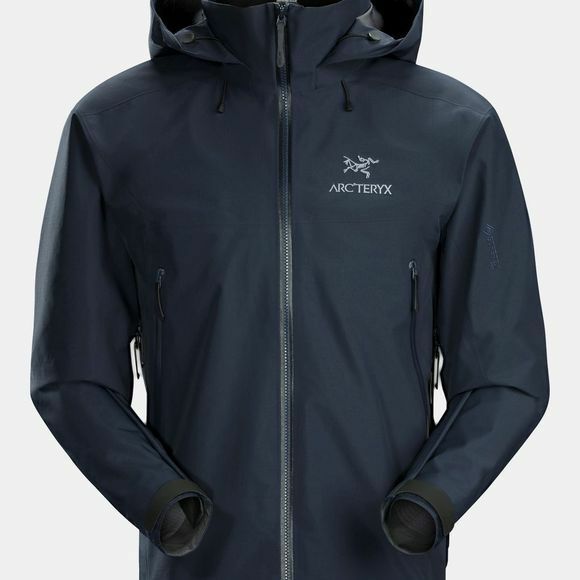 The Mens Beta AR Jacket from Arc'teryx is a mainstay in the Arc'teryx lineup since 2000, the Beta AR is the do everything, most versatile waterproof/breathable jacket for activities in mountain environments. Hand pockets, regular fit, pit zippers, an updated length to accommodate layers and a hood with an internal collar mean comfort in storms, climbing, skiing or simply enjoying the outdoors. Gore-Tex Pro is with the highest level of waterproof/breathable performance. The helmet compatible DropHood gives quick storm protection and has been updated to include Cohaesive cord lock adjusters.